When Pradyumna Kumar Mahanandia’s mother revealed a prophesy to him when he was just nine years old, he could hardly believe it. Would he, an Indian from the lowest caste, really marry a wealthy aristocrat from a faraway land? Well, according to Indian culture, prophecies are taken very seriously, so Mahanandia never forgot those words and hung onto them during all his trying times. After an incredible chance meeting 17 years later, it was those very words that led to an epic journey of true love from India to Sweden. After you’re done reading about why this man cycled 2,236 miles to Europe with his second-hand bicycle, you’ll definitely believe in fate! In 1949, Pradyumna Kumar “PK” Mahanandia was born in the remote village of Kandhapada, between the river and mountains in the district in Odisha, India. 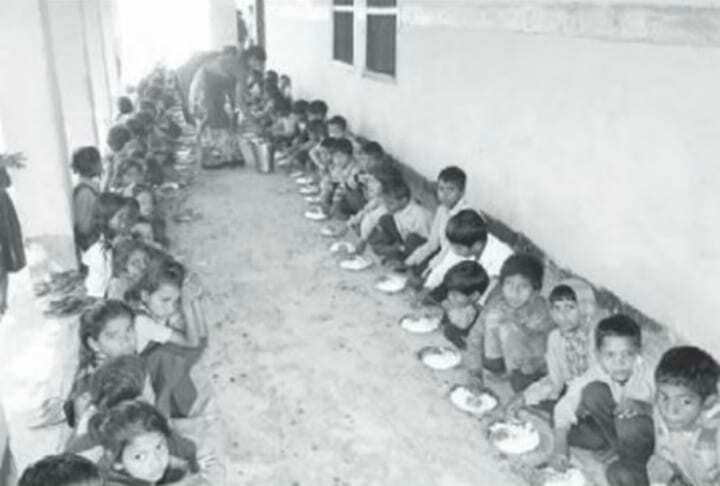 Born into a lowest level of the Indian caste social system, otherwise known as the untouchables, Mahanandia couldn’t escape poverty and discrimination growing up. He recalled the extremely humiliating and painful moments from his childhood when speaking to CNN, like the times he went near a temple or holy place. “People started throwing stones. I was below the dogs and cows. Those things, I never forget.” He remembered how people would run to the river to wash themselves off if he came near them. Mahanandia was not allowed to sit in the classroom when attending school in case he’d “pollute” someone, except for one day when a British school inspector and his wife paid a scheduled visit to the school, and he was placed at the back of the room. Mahanandia distinctly remembers what happened the moment they entered the door. The inspector presented his garland to a girl up front, while his wife walked straight to the back of the classroom and gave hers to Mahanandia. “She could see I was an outcast. She touched my head and said, ‘Your lovely curly hair,'” he told CNN. It was this seemingly random and kind gesture that served as the catalyst for a life changing set of events for Mahanandia. Mahanandia didn’t quite understand what his mother meant seeing that arranged marriages by parents were common place in India and his culture, and besides, he was still only nine years old. Then she showed him a palm leaf bearing something that would explain everything and impact the rest of his life. 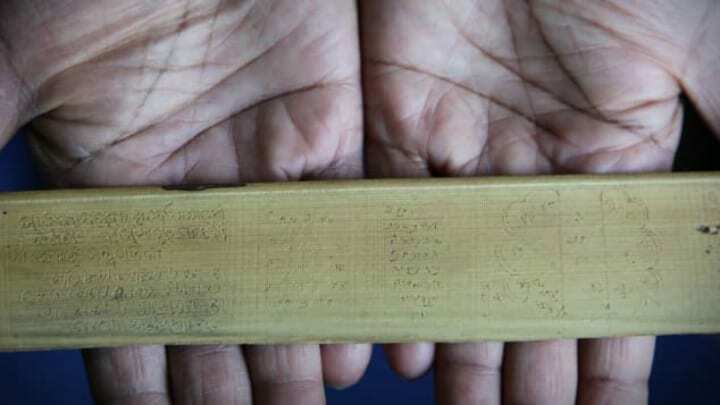 In India it is common for parents to call on an astrologer upon the birth of a newborn baby to foretell the future of the child, so the palm leaf Mahanandia’s mother carried in her hands bore his very own prophecy. She decided that this was a fitting time to reveal what it had prophesied. According to the prophecy, Mahanandia was not going to have a traditional arranged marriage. Instead, he would marry a woman from a faraway land born under the zodiac sign of Taurus, who would own a jungle or forest and play the flute. 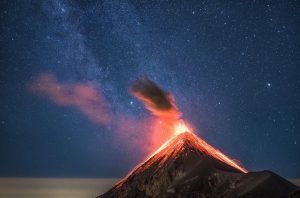 Whenever Mahanandia felt sad, his mom would remind him of these words, words that would sow the seeds of a miraculous occurrence 17 years later. He was bullied and tormented every day, which led to severe depression. When he was a child, he was also told that he was destined to work with colors and art, which made sense to him seeing that he could draw things really quickly, but his dad had different plans for him. 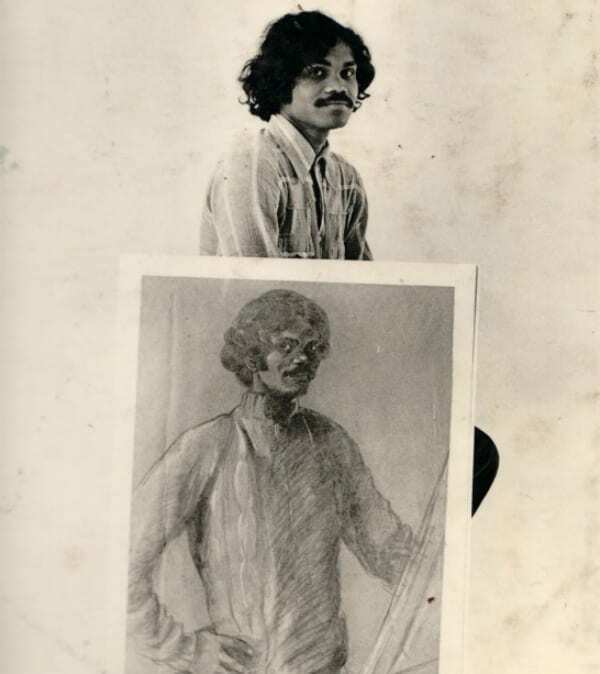 Mahanandia possessed a beautiful gift when it came to art and was determined to pursue it as a career, but his father wanted him to become an engineer as most people believed art wasn’t a real vocation. Owing to all the pressure and the injustices of society, Mahanandia felt hopeless. He went to some train tracks to commit suicide. His first attempt failed as the rails were too hot and burned his skin, and the second time the police stopped him and sent him home. At this point, it felt like his prophecy was just a distant memory with all his bad luck. After feeling completely down and out, Mahanandia decided to run away from home to pursue his dream as an artist. 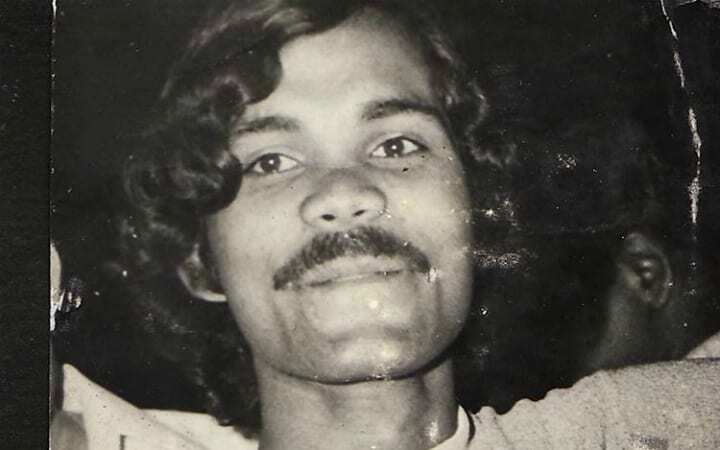 With 55 rupees to his name, the equivalent of 84 cents, he traveled to Santiniketan to enroll at the Visva-Bharati University, but the course was too expensive. That’s when someone suggested he should go back home and study at the Khallikote College of Art and Crafts in Odisha, as they accepted high-performing students for free. 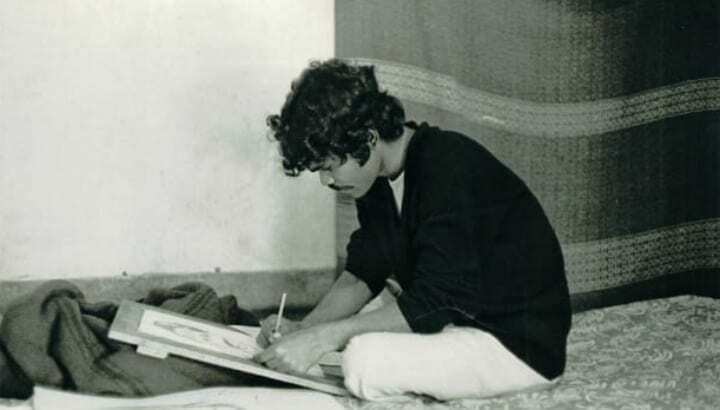 However, a yearning was burning inside Mahanandia’s heart, so he moved to Delhi to join the College of Art to study Fine Arts in 1971. 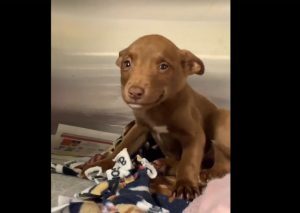 He didn’t know it yet, but fate was leading him there for a reason. Life wasn’t easy in the bustling city. To make ends meets, Mahanandia painted pictures on the street, but the police would strip them down and take him to the station. Ironically, he liked going to the station because they gave him food, and he could sleep with a roof over his head. Mahanandia was existing on a thin line of hope and despair, but it was these years when he met special people who molded him into the person he became. Before long, he became a well-known sketch artist and began painting portraits of politicians, and all the while, that prophecy he heard when he was nine years old would nudge him at the back of his mind. Newspapers started publishing articles about Mahanandia’s artistic abilities and how he fought to make his way to Delhi to study art. 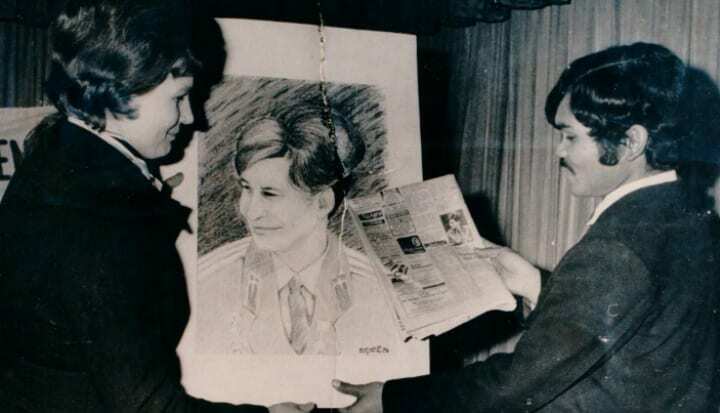 He drew portraits of acting Prime Minister Indira Gandhi and Vice President B. D. Jatti, and even cosmonaut Valentina Tereshkova. When Tereshkova was invited by Gandhi to India, he managed to sneak through the crowds and came face to face with the cosmonaut. She smiled and invited him to the Parliamentary Club by the Indo-Soviet Society, where he drew 10 portraits of her. For this, he appeared in the news and the rest was history. Mahanandia became famous overnight! 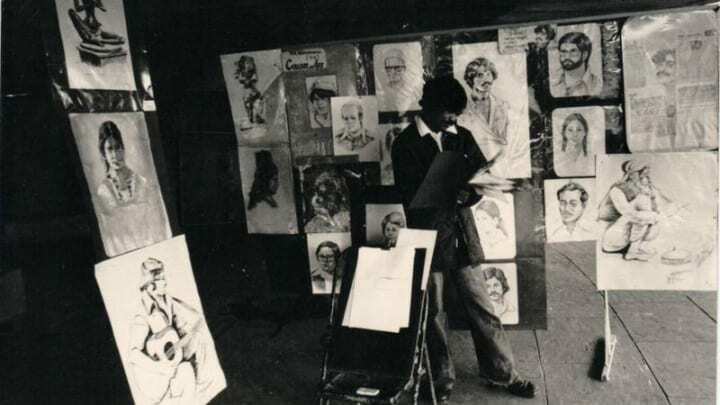 He made a good name for himself as a sketch artist in the local press and befriended many famous people. But soon he’d befriend a particular woman who would change his life forever. 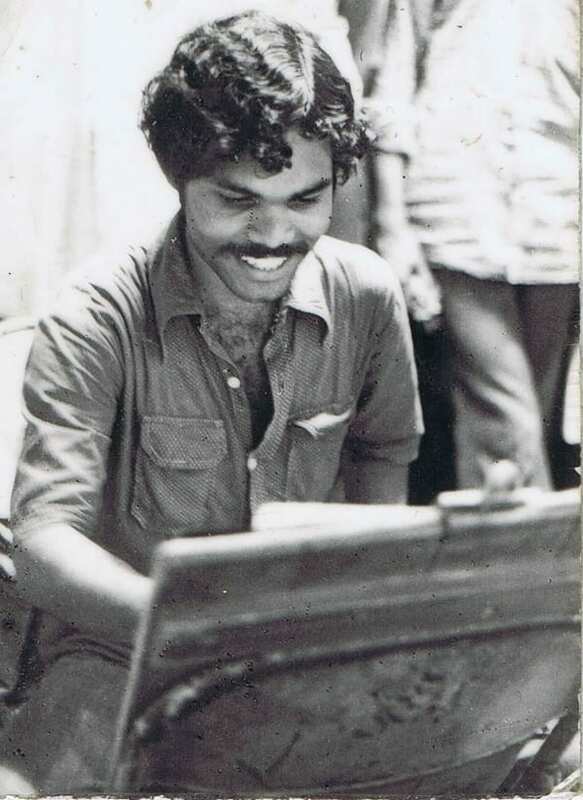 On the evening of December 17, 1975 a beautiful blonde-haired women with big blue eyes approached Mahanandia while he was sketching some portraits. She stood before his easel and was totally intrigued by his talent and how he could draw a portrait in just 10 minutes. When Mahanandia looked into her eyes, he didn’t feel his worries anymore. “Her eyes were so blue and big and round, I felt as if she was not looking at me, she was looking inside me, like an X-ray machine! I thought I must do justice to her beauty,” he told BBC. Mahanandia was lost for words when he laid eyes on this young woman. He was so nervous that his hand started shaking. He asked her to return the next day, as he had totally messed up the portrait. Lo and behold, this mysterious woman returned the next day, and Mahanandia drew three more portraits, all of which failed. She asked him for 10 rupees, but she handed him 20 each time. Mahanandia insisted that he couldn’t accept double from such a beautiful woman. He joked that only men with bald heads paid double. So, who exactly whas this woman? 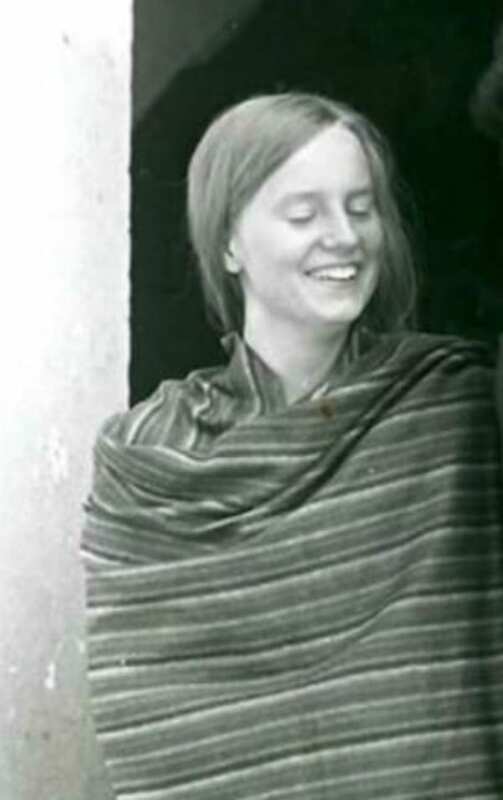 This beautiful woman named Charlotte Von Schedvin came all the way from Sweden to Delhi along the famous hippie trail. Joined by four other friends and a one-year-old child, they made their way to India in a Volkswagen bus in 22 days, traversing through Europe, Turkey, Iran, Afghanistan, and Pakistan. When they reached New Delhi, they parked next to the financial hub of Connaught Place where Mahanandia was busy painting. Von Schedvin immediately spotted him and approached him. She told CNN that she was drawn in by his “curly hair, smiling face, and white teeth” which sparked a feeling in her heart from the get-go. Mahanandia was so enraptured by Von Schedvin’s beauty that he couldn’t get the portrait right. However, something else was on his mind that kept him distracted: the prophecy he heard 17 years earlier, which he stored at the back of his mind. 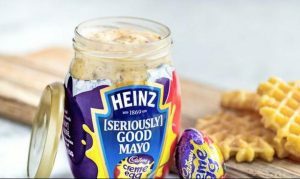 Was it finally coming true? It was in this moment that Mahanandia knew he had to ask this lady whether she owned a big forest or jungle. She might have found the question and random and out of place, but he knew it was now or never. The artist unabashedly asked Von Schedvin if she owned a forest. To his surprise, she replied that she did indeed own one as she hails from Swedish nobility. He just knew she was the one, so he dared to ask if she was a Taurus. Von Schedvin went on to say that she was indeed a Taurus and added that she was very musical. She exclaimed that she loved to play the flute and piano. Mahanandia then declared in broken English: “This is decided in the heavens! We were destined to meet.” He just knew she was the one, and told her she’d be his wife. They were drawn to one another like magnets and it was true love at first sight for him, but did Von Schedvin feel the same? How would she react to these grand statements? 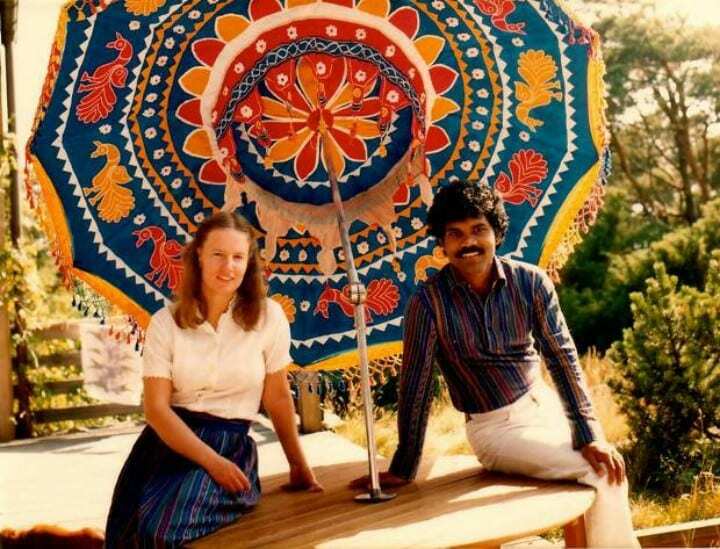 Von Schedvin was confused and wondering what Mahanandia meant by “decided in the heavens,” but it turns out she too felt a special connection to India and the artist she just met. 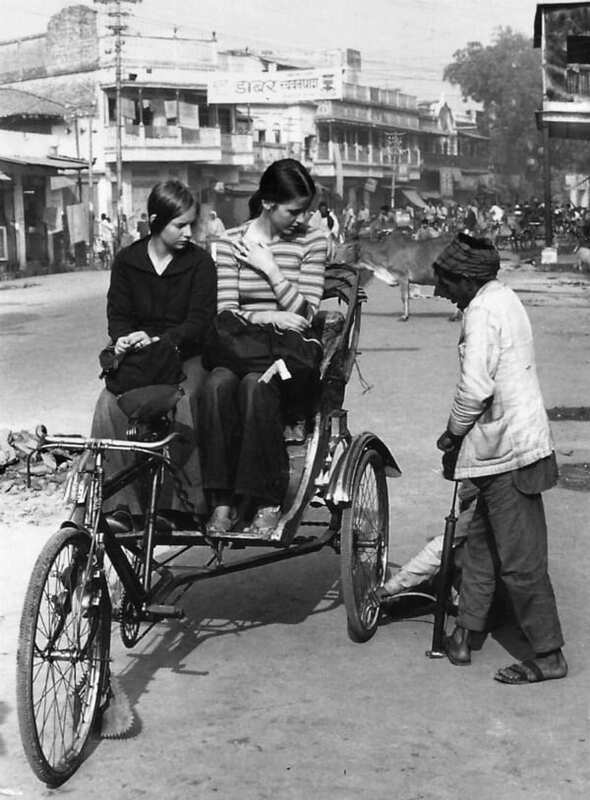 In fact, ever since she was a child, Von Schedvin longed to visit India. She was fascinated by the east meeting west. It all started at the age of 11 when her teacher screened the 1937 film Elephant Boy. She always knew in her heart that she wanted to befriend a young Indian boy like Sabu. Her love for Indian culture was cemented when she went to London and saw a tribal dance from Odisha, as well as George Harrison and Ravi Shankar perform at The Royal Albert Hall. She watched the films and listened to the music, but she knew she just had to visit India herself. This didn’t mean she’d take Mahanandia’s claims seriously, or would she? He can’t recall what came over him, but Mahanandia decided to ask Von Schedvin for tea. He was worried she’d complain to the police because of a strange artist coming onto her, but her reaction was quite the opposite. Von Schedvin believed Mahanandia was an honest man and wanted to find out why he was asking her all those questions about her. She was quite interested to know how he could have predicted such things. 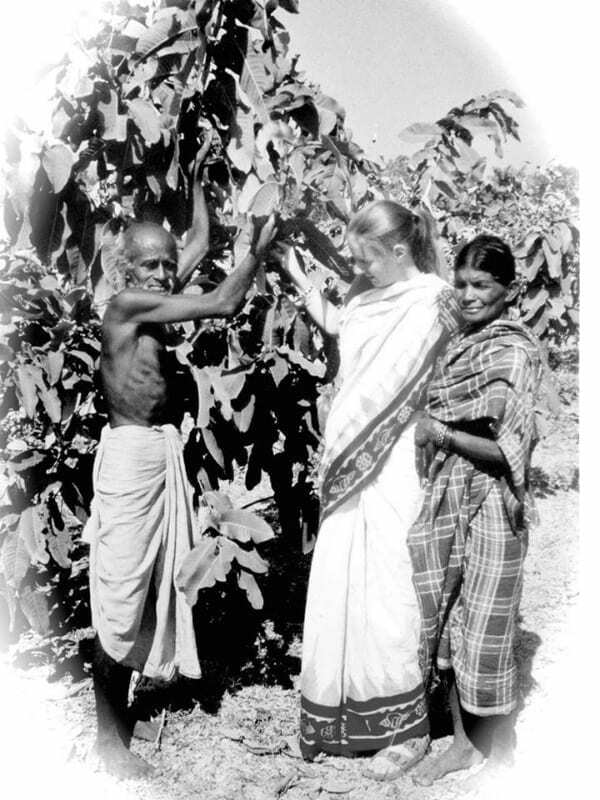 Then one thing led to the next, and Von Schedvin agreed to go to Odisha with Mahanandia to meet his family. She might not have known it just yet, but fate certainly was playing its hand. 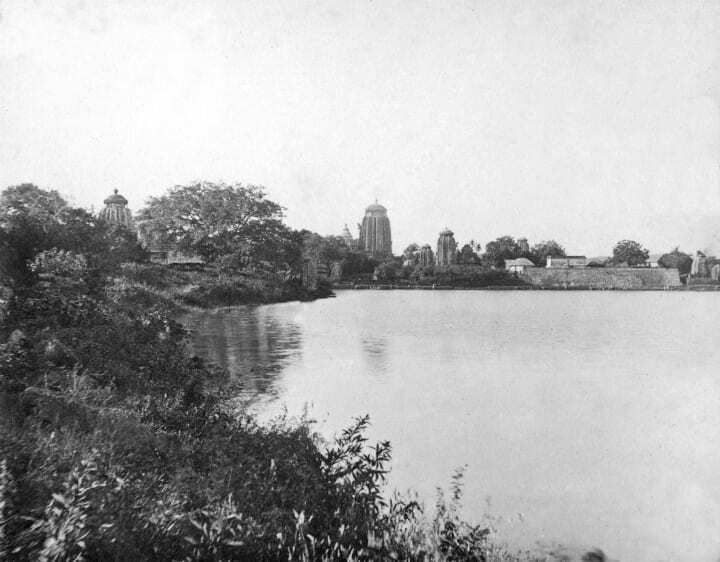 One of the first famous monuments Mahanandia took Von Schedvin to see was the Konark Sun Temple. “I became emotional when PK showed me the Konark. I had this image of the temple stone wheel framed in my student room back in London, But I had no idea where this place actually was. And here I was standing in front of it,” she told the BBC. Von Schedvin agreed to go to Mahanandia’s village to meet his family, as something told her to follow her heart. “It was like coming home,” she recalled. 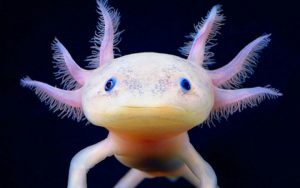 His family loved her, and because of her belief in reincarnation, she strongly felt like she had lived in India in a previous life. 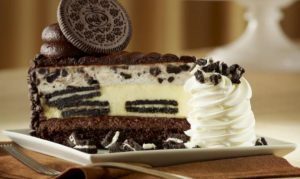 This is what sealed the deal for her! Mahanandia and Von Schedvin had fallen in love. After she met his brother, he went into his puja (prayer) room to mediate and came out declaring that the pair were destined to marry. “I didn’t think, I just followed my heart. 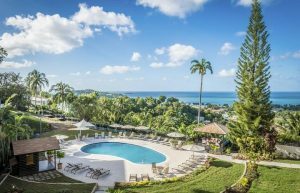 There was no logic,” Von Schedvin said. 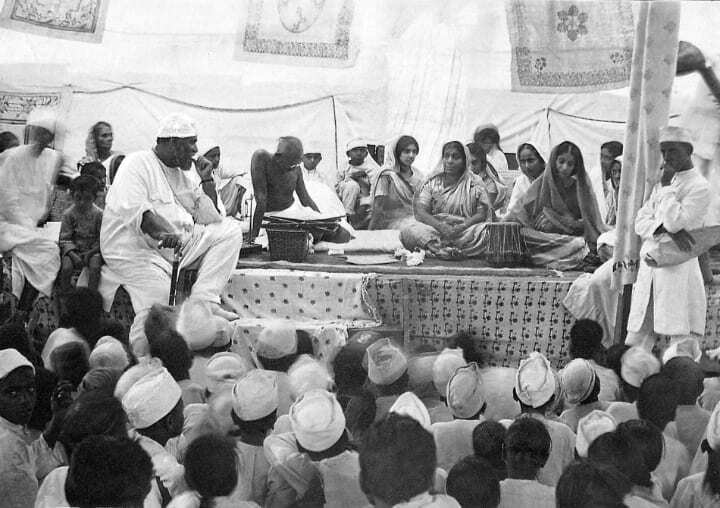 The pair decided to conduct a tribal marriage ceremony to be spiritually married. Von Schedvin donned a sari and received many blessings from the family. 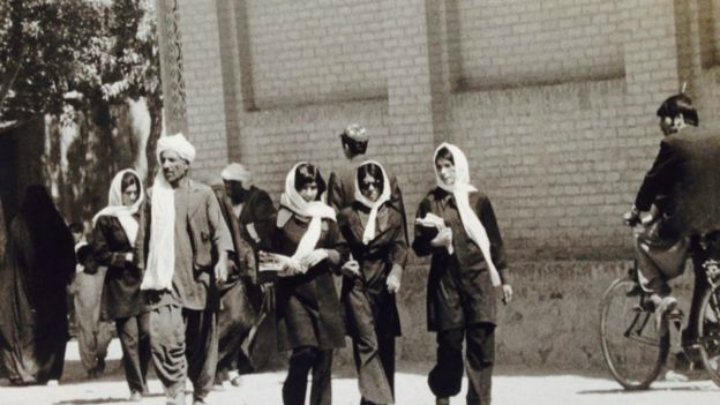 “When I was with her, I felt taller than the sky,” said Mahanandia. He exclaimed that he no longer felt like an outcast. 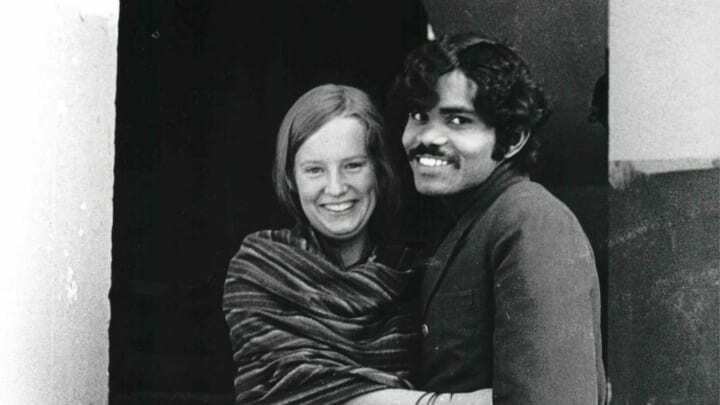 After the ceremony, they traveled back to Delhi and spent a month together, but Von Schedvin had to return to Sweden. 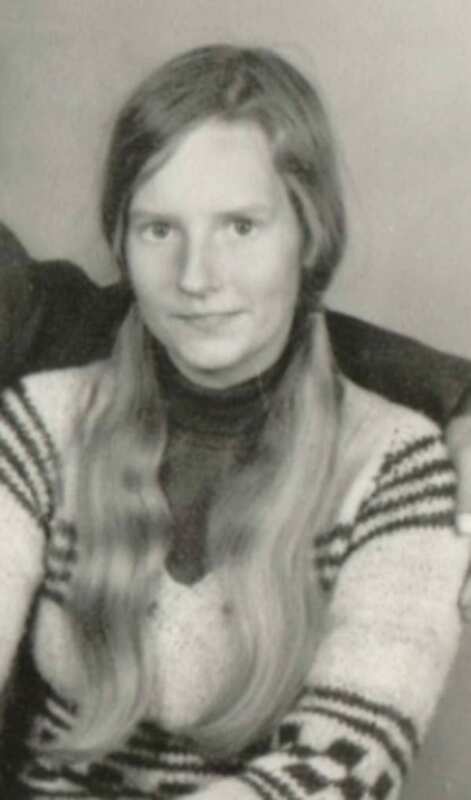 Von Schedvin had to return to Boras, Sweden to complete her studies and get back to work, as she had taken leave. 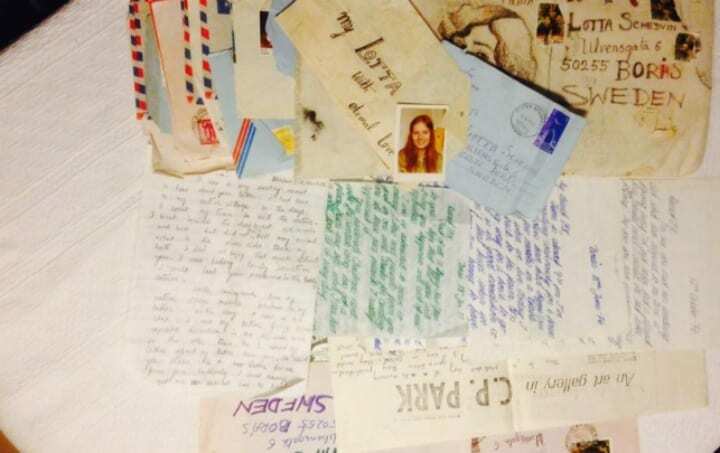 Her plan was to return in August 1976, but her mother told her she had to be realistic and correspond via letter with him to see if their connection was real. Mahanandia, on the other hand, still had a year left at art school. He also refused to accept a plane ticket from his partner and couldn’t afford one himself. However, he was determined to make his own way to Sweden and promised he would follow his true love home before she left. 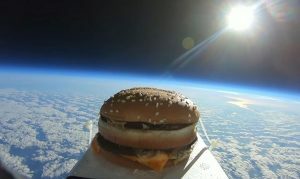 In the meantime, a long distance relationship would have to do. For a year and a half, Mahanandia and Von Schedvin corresponded via letters, but he just couldn’t bear to be away from the woman he loved so much. He missed her so much that he decided to take the first step and move to Sweden. He couldn’t afford a ticket, and he also couldn’t afford to travel in the colorful tour buses that traveled the hippie trail. None of that stopped Mahanandia from coming up with another idea of transport. Luckily for him, his geography wasn’t so good, so he didn’t really know how far Sweden was and confused it with Switzerland. Looking back, Mahanandia says that if he was aware of the distance, he probably wouldn’t have devised the following plan. Without even thinking, Mahanandia sold everything he owned and bought a second-hand bicycle for 60 rupees. His plan was to bike his way to his true love along the same hippie trail that brought her to India, just the other way around. So, he set off on two rickety wheels on January 22, 1977. It was a long and hard ride through the deserts of Pakistan and the mountains of Afghanistan then all the way through Europe – a distance of 3,600 km (2,236 miles), but nothing would stop him. Mahanandia would cycle about 70 km (44 miles) every day, but he also hitched rides with trucks. With his sleeping bag in tow, he’d also sleep under the stars, but most of the time people invited him into their homes for food and lodging in exchange for his sketches. He made lots of hippie friends along the way who guided him and instructed him. Mahanandia never felt alone, and Von Schedvin’s letters encouraged him. He’d stop by the post office in every major city and send her letters so that she’d know he was on the way. Her replies kept him going to the very end. The hippie trail spanned eight countries and would take months to traverse, but it was an extremely popular trail in the ’60s to ’70s. 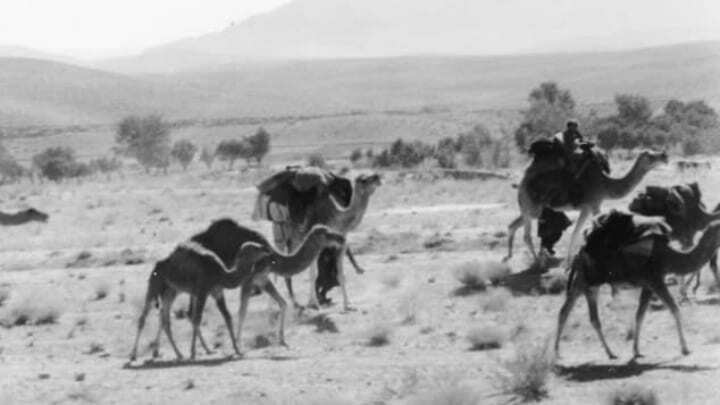 At the time, travelers also didn’t need visas to cross the borders and the region was stable, so the only thing standing in Mahanandia’s way was his willpower. Well lucky for him, his willpower never faltered. “The world and humanity can only survive through love,” Mahanandia said, which is why he never gave up. “I’ll do it or I’ll die,” he exclaimed. Even if he had to meet Von Schedvin in a different life, he wasn’t about to give up. He legs hurt and he had close encounters with death, but the excitement of seeing his true love again kept him going. Throughout his tedious travels, it was art that came to Mahanandia’s rescue. 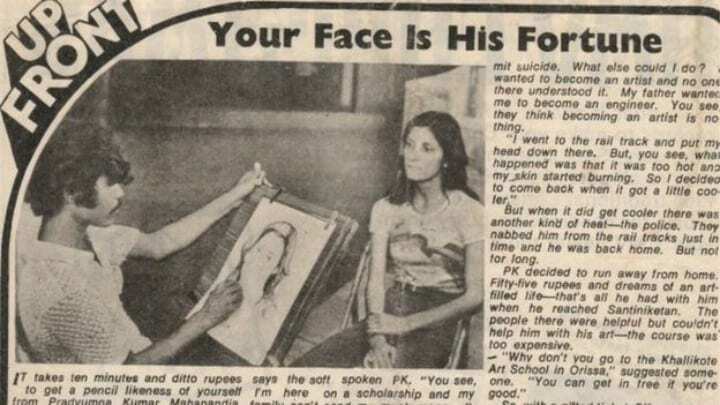 He painted portraits of students, artists, and common people in exchange for money, food, and shelter so that he didn’t have to touch the $80 he had left India with. By the time Mahanandia arrived in Istanbul, he was gifted a train ticket to Vienna, from where he’d continue his journey to Gothenburg, Sweden. 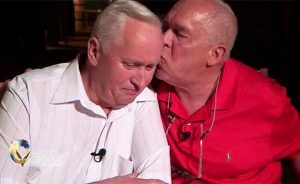 After four months and three weeks, he made it to his final destination on May 28, 1977 because of one reason: true love. 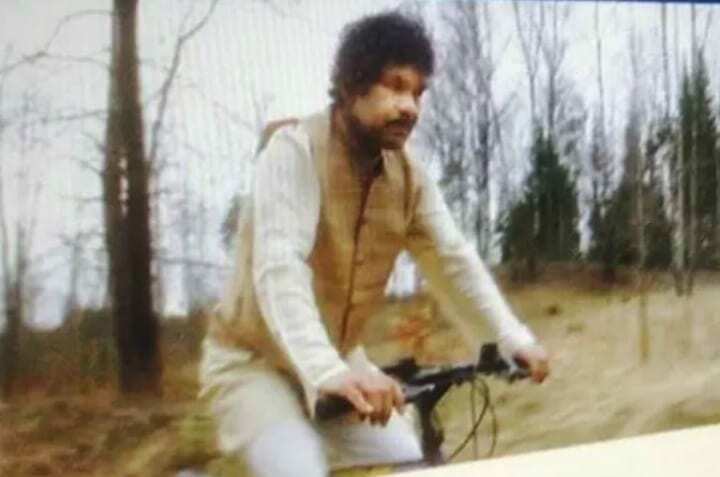 “I bicycled for love, but I never loved biking,” Mahanandia told the BBC. He left with just $80 dollars in his pocket, but arrived in Sweden with over $800 because of all the portraits he painted. He explained that in the ’70s, people had time and patience to “entertain a wanderer” because it was a more peaceful time. When the star-crossed lovers finally reunited, they embraced and cried tears of joy. Many people thought Mahanandia would never make it, but he proved how love can truly conquer all, with some willpower and dedication. 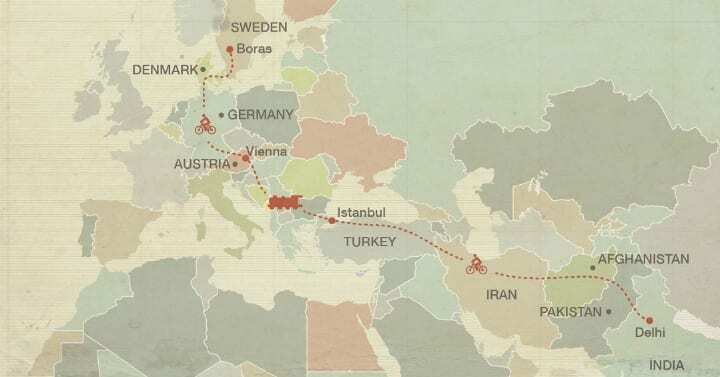 They both proved that a long distance relationship can work — if someone is willing to ride across eight countries for it. Mahanandia experienced quite the culture shock and some difficulties upon arriving in Europe, but he didn’t fail to impress Von Schedvin’s parents. The moment he arrived in Sweden, she was a strong pillar of support and they had never felt more in love. Some of their friends and acquaintances doubted the relationship and thought it was just a “holiday romance,” but PK and Lotta (their nicknames for each other) proved everyone wrong. 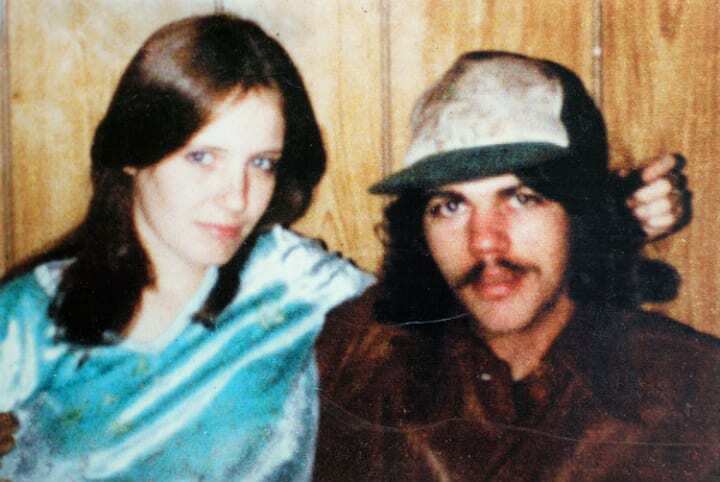 They tied the knot 1979, proving that true love never fades. The happily married pair started their own family with their two children Siddharth (Karle) and Emelie. 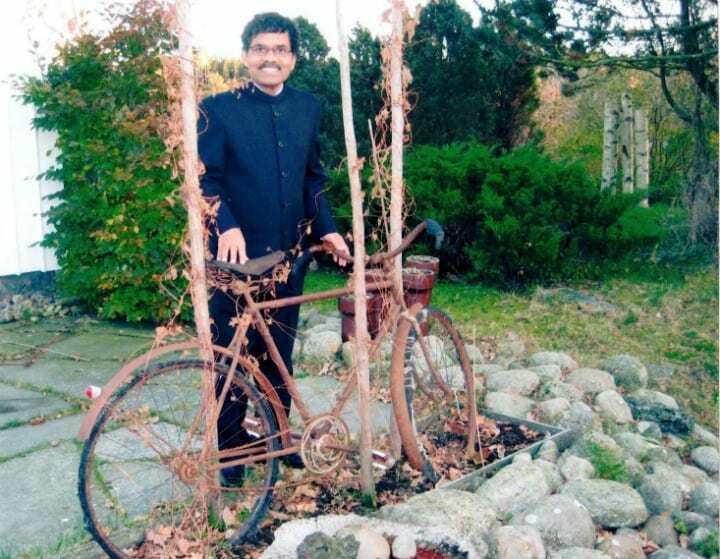 To this day, Mahanandia still doesn’t get why people think his cycling to Europe was such a big deal. For him, it was simple – he did it for love. 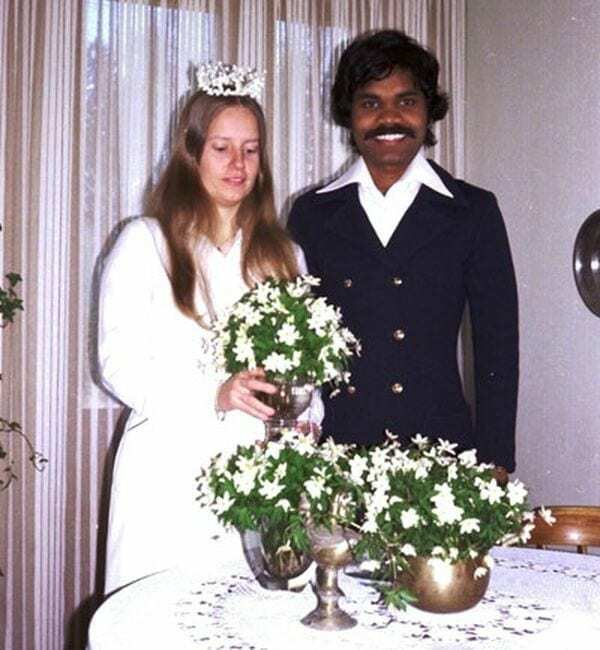 After almost 40 years, Mahanandia and Von Schedvin are still happily married and live in Sweden. 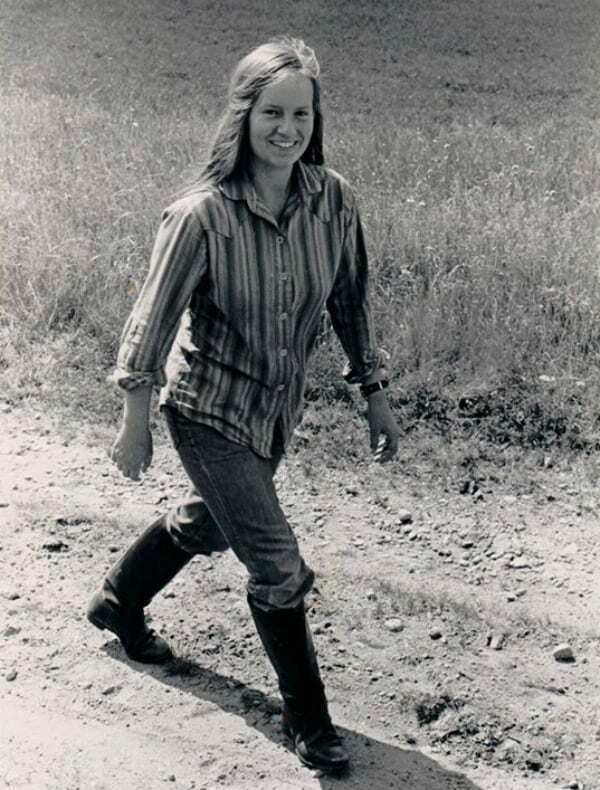 She pursued a music-teaching career and he went on to become a well-known artist. Together, they promote indigenous art and grant underprivileged Indians with cultural scholarships. In 2012, Mahanandia was granted an honorary doctorate from his home state’s Utkal University of Culture in Odisha. 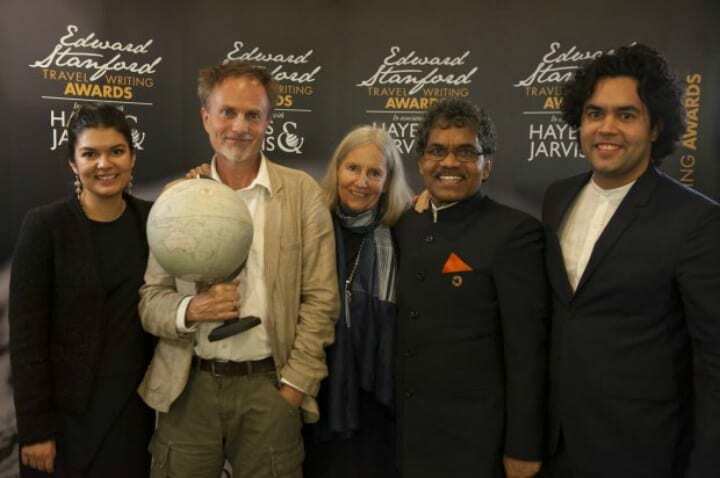 The pair also recently received a prize at the Edward Stanford Travel Writing Awards for their beautiful love story. Despite all his success, Mahanandia has never forgotten where he came from. When Mahanandia planned to visit his village in India in 1997, but couldn’t because of floods, the local government arranged a helicopter for him so he could land on his school’s football field. “Love had given me the power to forgive the people throwing stones at me,” he declared. All he wants is for his story to provide hope and to teach others. 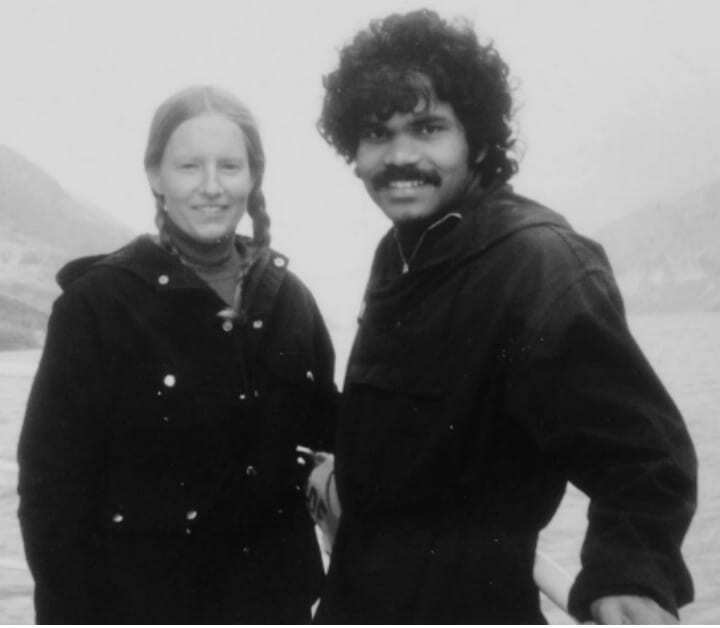 Mahanandia also recalled a moment he had while teaching in Sweden. A tall boy was bullying the other students, so he shouted “kneel down” in his mother tongue to the insolent child. Today, the boy is all grown up and laughs about it with Mahanandia when they see each other, but he remembers the fire in his teacher’s eyes and was so frightened. 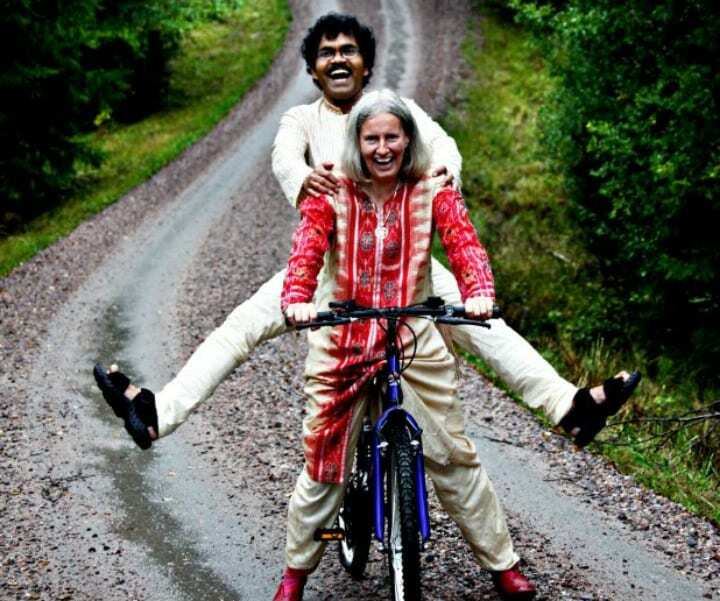 Mahanandia’s story inspired a book called The Amazing Story of the Man Who Cycled from India to Europe for Love by author Per J. Andersson in 2017. The book has already been translated into 15 languages and won the Marco Polo Outstanding General Travel Themed Book of the Year award. A film about the couple’s beautiful story might also be in the works, possibly starring actor Dev Patel. In fact, their children Siddharth and Emelie plan to handle the film rights and have been meeting with British filmmakers and people in Hollywood. 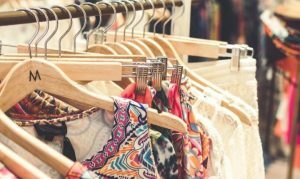 If you found this article inspiring, please SHARE with your friends!